NO. 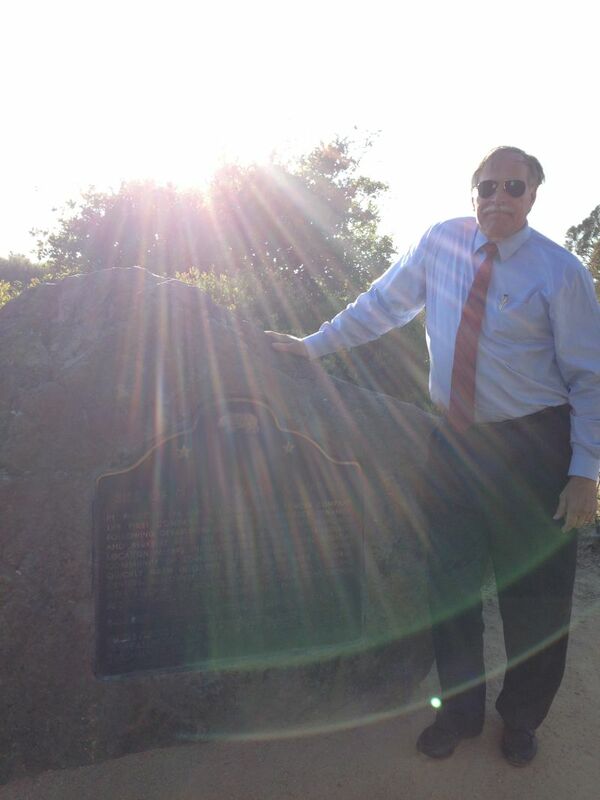 1002-1 SITE OF GIANT POWDER COMPANY (POINT PINOLE) - Pt. 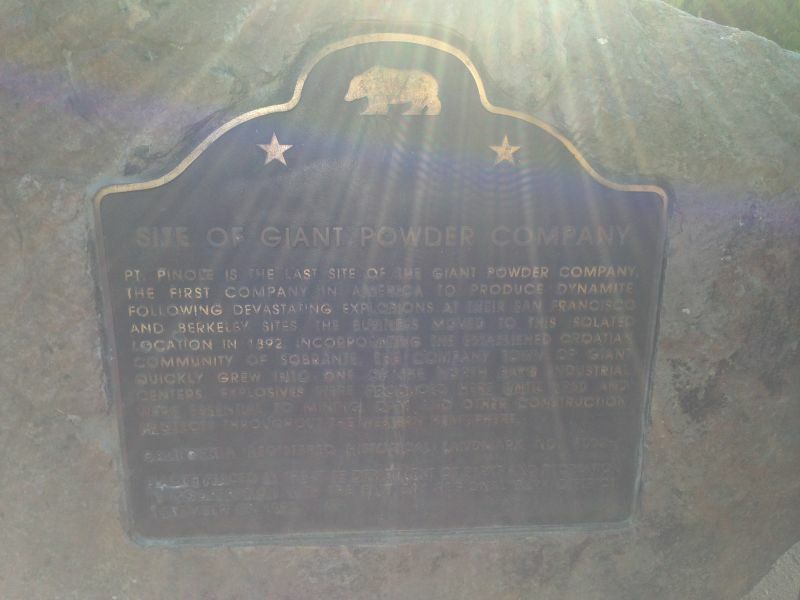 Pinole is the last site of the Giant Powder Company, the first company in America to produce dynamite. Following devastating explosions at their san Francisco and Berkeley sites, the business moved to this isolated location in 1892. Incorporating the established Croatian community of Sobrente, the company town of Giant quickly grew into one of the North Bay's industrial centers. Explosives were produced here until 1960 and were essential to mining, dam and other construction projects throughout the Western Hemisphere. Giant Highway and Atlas Road, Richmond. Plaque at Point Pinole Regional Shoreline parking lot, on west side of Giant Hwy south of Atlas.